[Product of the Year] Christine Concealer --My 100th post!! This post is really special to me since its my 100th! So I wanted to share with you all a product that I have been loving this year. When I look back on 2011 almost every other week I changed what makeup I use, either a different eyeliner, foundation or setting powder. 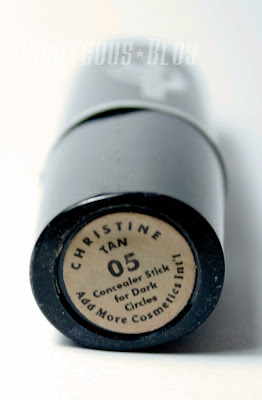 But the one product that I have used consistency since late last year is the Christine Concealer in Shade 05 Tan, it is my most reached for product. 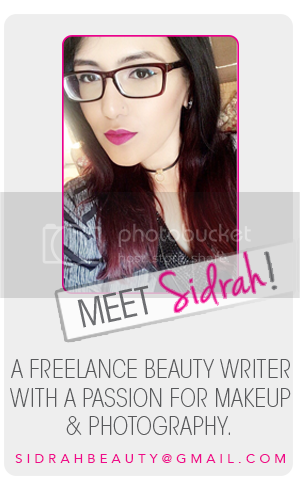 I was a bit hesitant on reviewing this product because the brand isn't popular with bloggers since it's only available in Pakistan. I wanted to shed some light on the product since I find that its worked really well for my dark circles. Concealing under-eye circles is one step that I never skip out on with makeup, I can always get away with skipping foundation. With wearing glasses my dark circles become more visible. 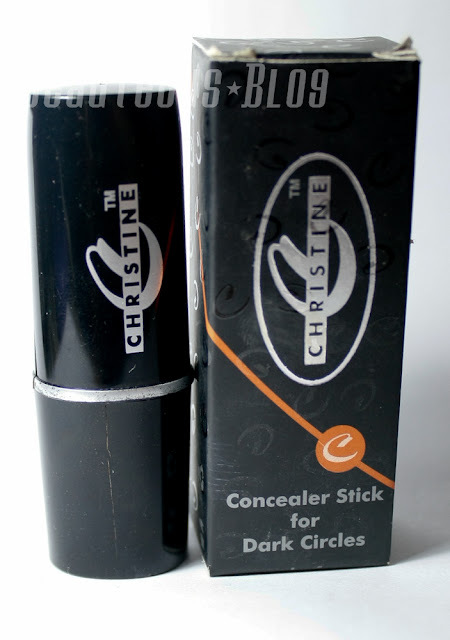 Christine Concealer in Shade 05 Tan is a full coverage opaque salmon-tone shade which is best for blue-based under-eye circles. I find that the product doesn't leave behind a very orange shade, it leaves your skin looking really bright after application. The product promises to dry out blemishes which I never have dark blemishes to really test out this claim. When I first bought this concealer it was extremely stubborn to work with because the product was so stiff. So I tossed it aside and didn't bother using it for a month or so. Like most of the products I try I always end up forcing myself to use the product again and it really doesn't work out I will never bother with it. So after a couple of times using it by warming it up with my finger it became easier to apply the product. After multiple times using this method the product become really easy to work with and now the product is really creamy. I found that I always need to moisturize my eye area before applying it since it makes the application a lot more easier to blend. The product works best after applying moisturizer, it helps to blend out the product evenly. This concealer works really well for those who have really dark circles or scars. I find that it really brightens up my eye area. It has a orange undertone so it hides blue-tone dark circles really well. 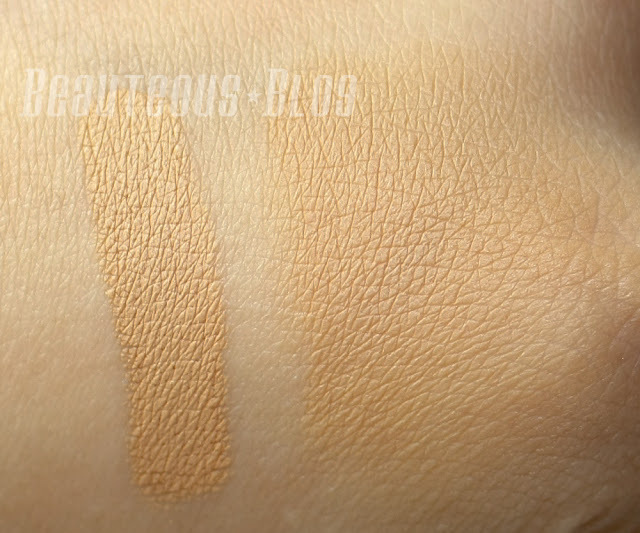 I really like how pigmented and creamy it is, though you do have to work with the product to warm it up to get it to become creamy. You have to make sure to moisturize your eye area before you apply. If you find that concealers set into your fine lines then apply a primer, either an eyeshadow primer or makeup base. For long days I find that if I applied too much it will set into fine lines so a little goes a long way. If you are looking for something inexpensive this is a great bargain product. It comes in 9 different shades according to their website here. 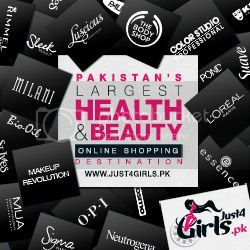 Their products are only available in Pakistan. I purchased this for about 150Rs a year ago, price may vary from store to store. I hope you enjoyed this review. Have you tried any products from Christine? What did you think of them? Would you consider trying out this concealer? For PKR 150 it really does a good job of concealing circles. I am always on a lookout for a good concealer. Thanks for the review! I am in dire need of a good concealer. i have really bad under eye circles! this looks great! 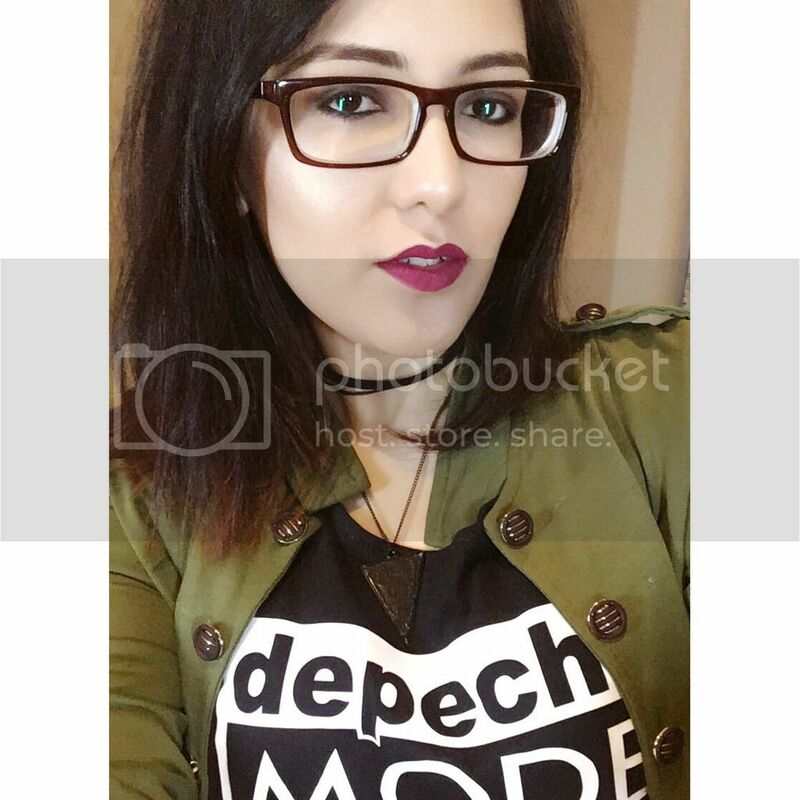 another great concealor to add to my collection;) thanks for sharing! Wow! I wish it was available here. That looks so great! I love the name as well. I've used this! This was my go-to concealer a few months ago, but then i found the Rimmel Hide the Blemish concealer, its much creamier and easy to blend. I melted this concealer( like a lipstick) and added a few drops of coconut oil before storing it in a container. It's way easier to work with now and definitely more creamy. Please tell me does the color looks pinkish?? ?